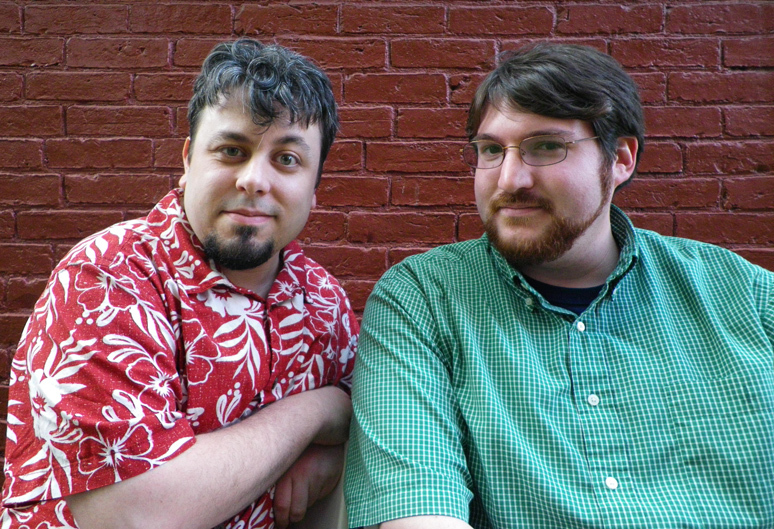 Kevin Spak and Sam Liberty have been designing games together since 2003. They were winners of Game Chef 2011 for their game Forsooth, and have been featured in the Boston Globe’s Ideas section. In addition to working on their own games, they occasionally pitch in on the Cambridge Game Factory development team. In his day job, Kevin Spak designs games for Dire Wolf Digital in Denver. He’s also an editor at Newser.com, a performance poet, and the host of the poetry slam news and analysis podcast SlamCenter. Follow him on twitter @Captain_Spak, where he talks about games and slam poetry. Sam Liberty is a freelance copywriter and halfway decent brewer. At Engagement Game Lab, he designs and wordsmiths online games with a civic bent. Follow him on twitter @SA_Liberty, where he talks about games and beer.